Monday will be spent in a written examination from 10:00-11:00am. 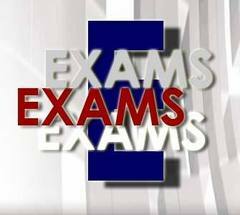 Following the written examination we will be scheduling our practical examinations. Please check the list for your name as both the CANDIDATE and the MODEL. If there is a problem with the scheduling of your examination please let me know as soon as possible. Wednesday's lecture time will be used to discuss the Strengthening and Stretching material listed above in the Peripheral Section.